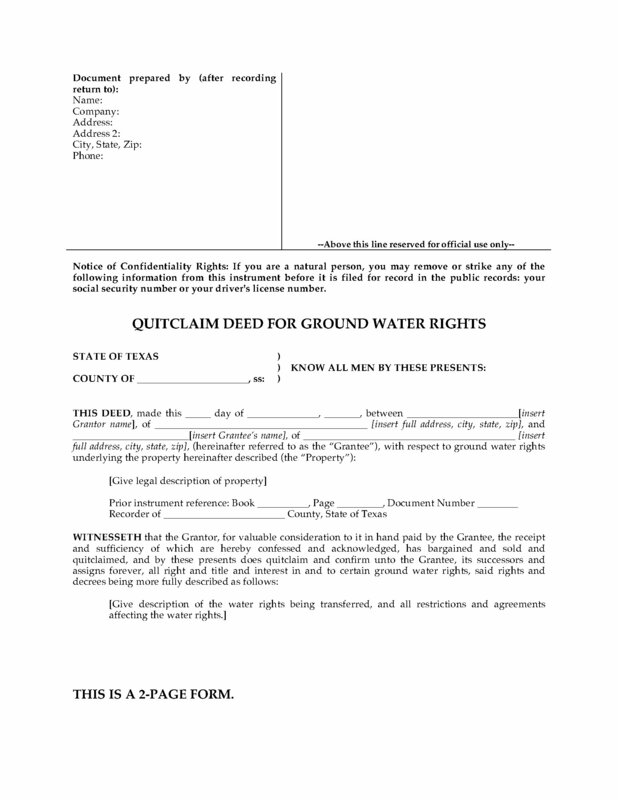 Transfer ownership of ground water rights underlying a property in the State of Texas with this Quitclaim Deed for Ground Water Rights. The ground water rights run with the property and must be transferred whenever the property is transferred, and cannot be sold, liened or encumbered separately from the property. The grantor does not warrant the quality or quantity of ground water available. This Texas Quitclaim Deed for Ground Water Rights form is provided in MS Word format and is easy to download, fill in and print.